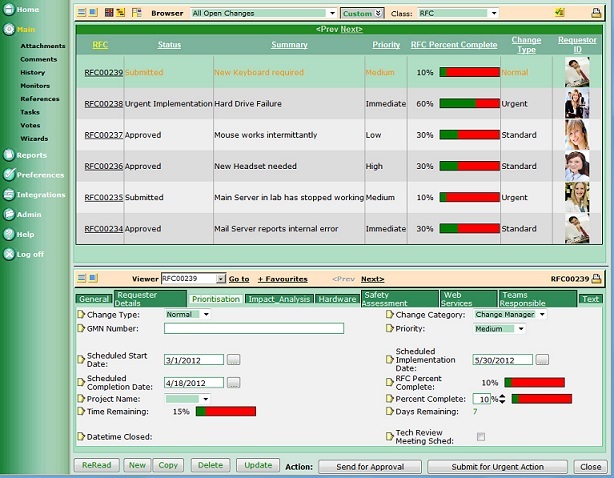 New IntaChange Enterprise: Change Management at its Best! 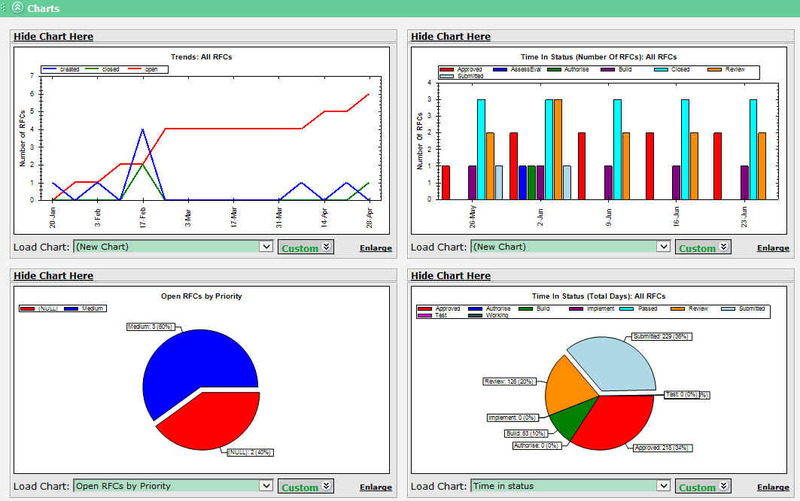 Customizable to show the data you need to see. Get up to date data. See at any given time what the business is doing and what the trends are looking like making your business more efficient and quick to respond to issues and opportunities. This will allow your business to operate more effectively and service your clients better. Through the use of business intelligence you can provide a leg up to your business and resources. New fields can be used in the main Browser page to give you an instant graphical representation of your data. If using Windows VisualSVN Server, version 2.6.0. Earlier versions may still work, but have not been tested. 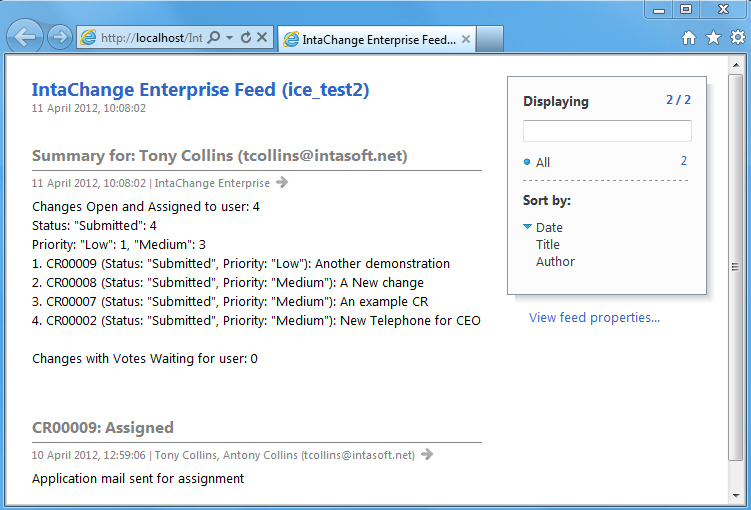 IntaChange Enterprise previously introduced a “File Revisions” Feature enabling you to associate multiple versions of your files with the Change records you create in IntaChange and of course, vice versa. 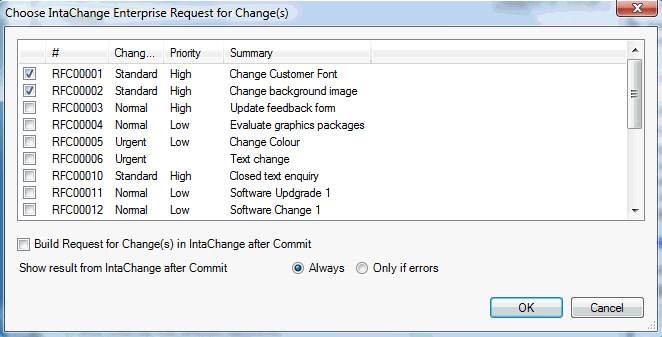 you may also want to associate additional Changes with the Commit and/or remove some of the previously chosen ones. ITIL® Out of the Box! The inbuilt ITIL® template is available out of the box! Saving you time, money and a huge amount of effort. Just install and go! All ready for you to use or customise to your unique circumstances giving you the best foundation for your own change management system you could wish for. Enable your end users to be made aware of an action without needing to read their email! RSS (“Really Simple Syndication” or “Rich Site Summary”) is a format for delivering regularly changing web content. Many news-related sites, weblogs and other online publishers syndicate their content as an RSS Feed to whoever wants it. RSS feed readers are commonly available — for example, Microsoft Internet Explorer and Outlook both have integrated RSS readers, and so do many mobile devices.